Please note that the original price of this product has been varied recently. 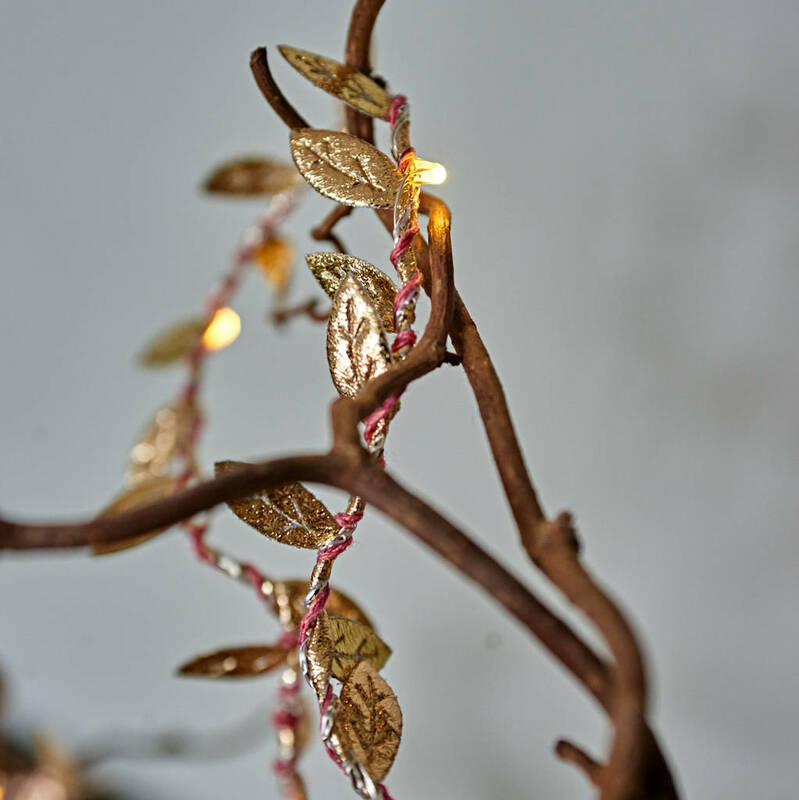 A stunning set of gold leaf fairy lights with gold leaves and delicate pink thread. These hand spun string of fairy lights are a truly unique way to decorate. 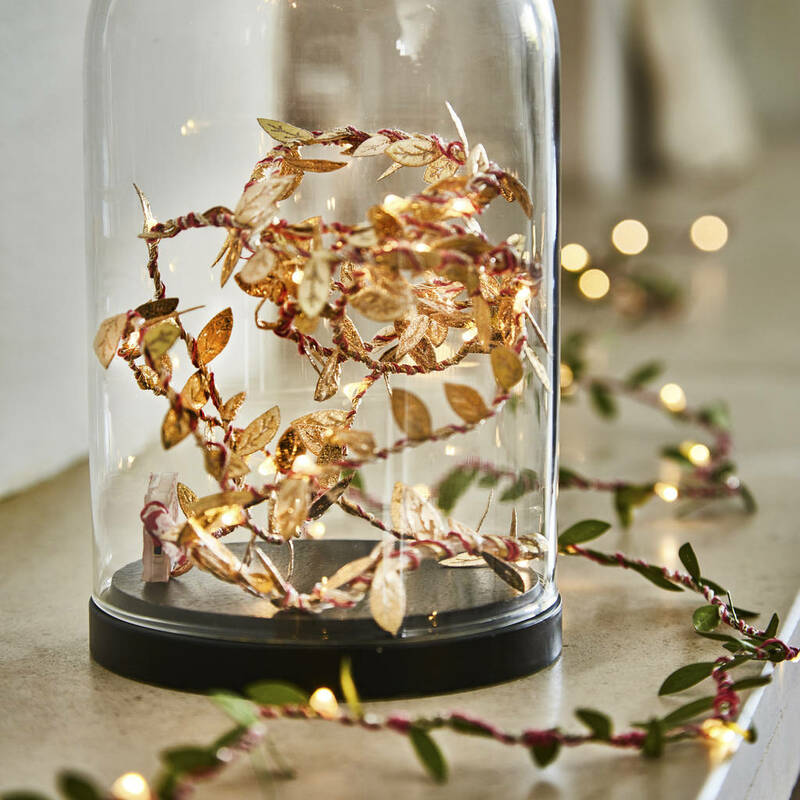 Fairy light garlands are Ideal for wedding tables, or around the home, or even for a romantic picnic. 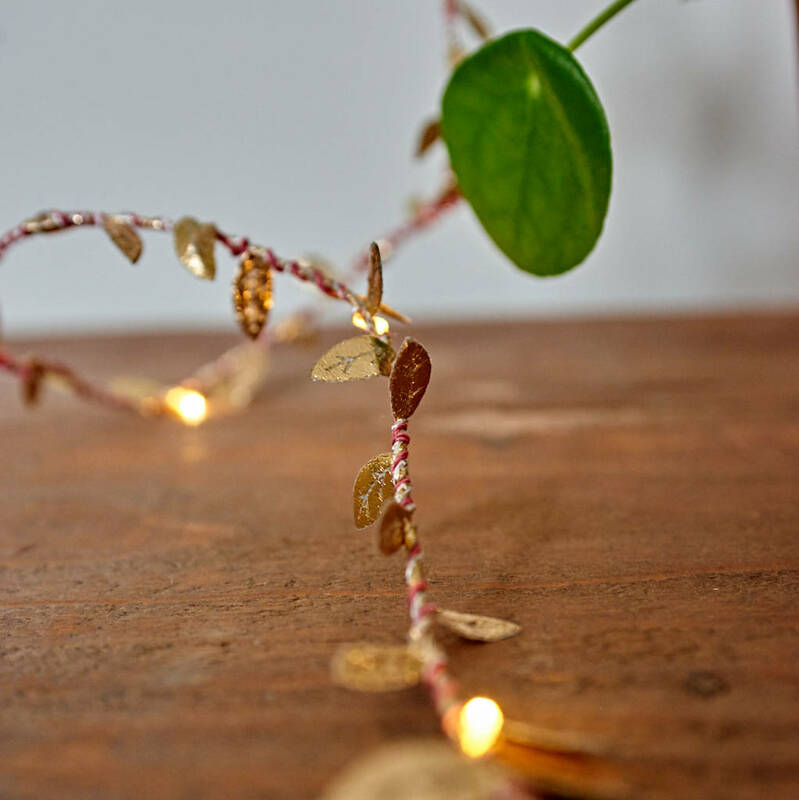 Every string consists of 20 warm white micro LED lights, gold leaves, a gold thread and a fine pink fibre. Battery powered so you are not limited to being near a power source, ideal for a table centrepiece, over a mantle or for use outside. Comes with discreet battery pack. Our standard colour is gold leaves with a pink thread, but if you wish to match a colour theme then all you need to do is ask. 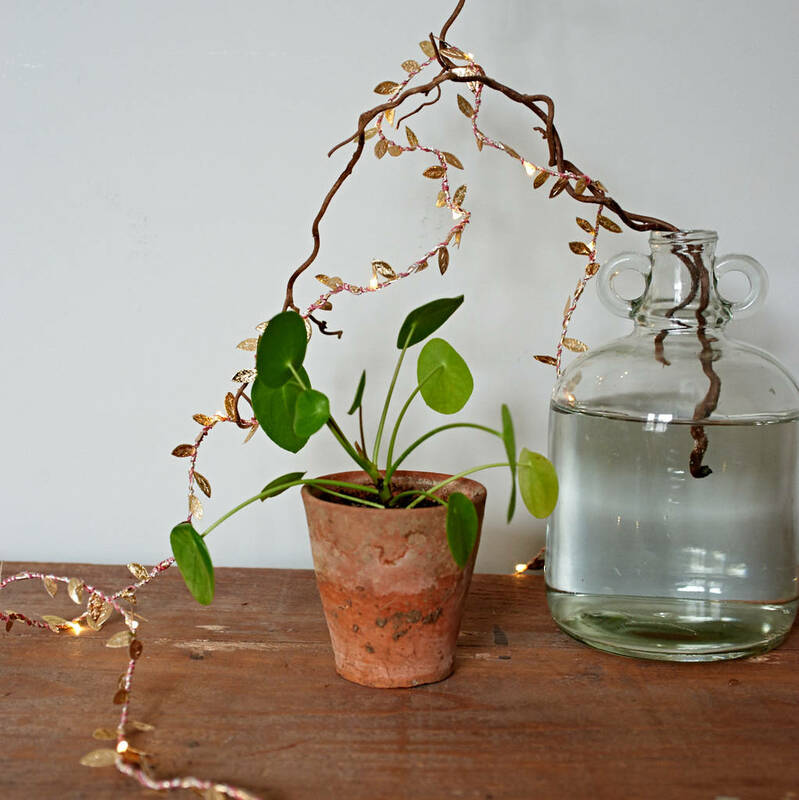 We also offer green, autumn and holly leaf lights strings.